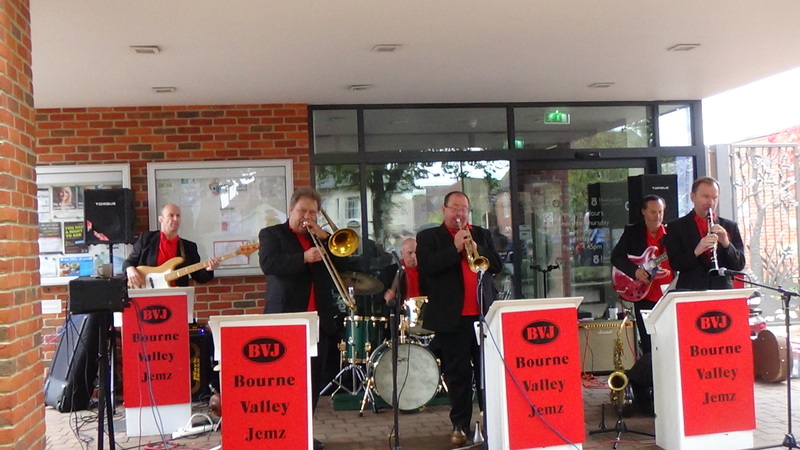 Bourne Valley JEMZ (formerly Bourne Valley Jazz) formed in 2003 and play along the South Coast of Britain on a regular basis. The Band consists of six professional musicians who, individually, have worked nationally and internationally performing on many cruise liners, nightclubs and theatres. Every summer we feature at the Pinewalk Bandstand in Bournemouth Gardens. In 2013 we contributed to the entertainment for the centenary of Fisherman’s Walk Southbourne Bournemouth. We bring our happy blend of music to many weddings, birthday parties and functions in the local area and also appear at Jazz Clubs in Britain and France. We will provide a complete package of musicians, singers with our own PA and you can be assured of a totally professional service at all times. We are happy to perform anywhere! 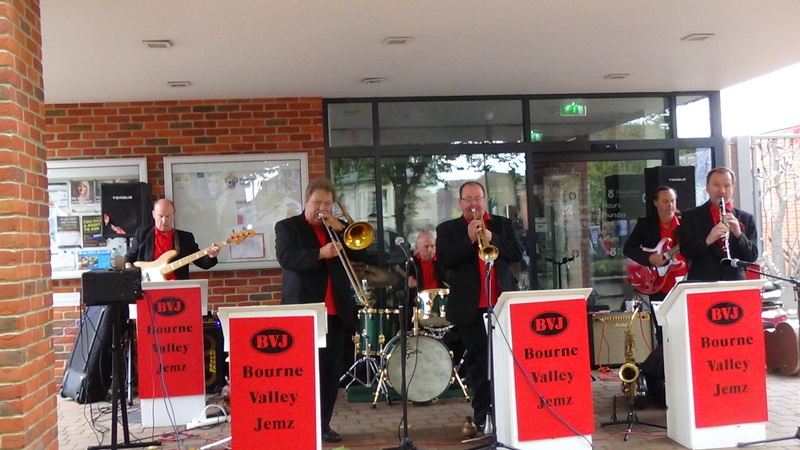 The BVJs tailor their music to suit any event and play in a wide variety of styles. Our main aim is that everyone enjoys the party!